Why is Oxford the Best University in the World? The Times Higher Education 2019 world rankings were released last month and it was the University of Oxford who topped the coveted league table for the third year in a row. But how did they get there? Oxford’s success can be attributed to a number of factors - ranking, teaching, research, citations and international outlook - as well as its long and storied history which dates back to 1096. Are you interested in applying? If so, learn more about the University below and get in touch with our international education consultants who can help you study in the UK. 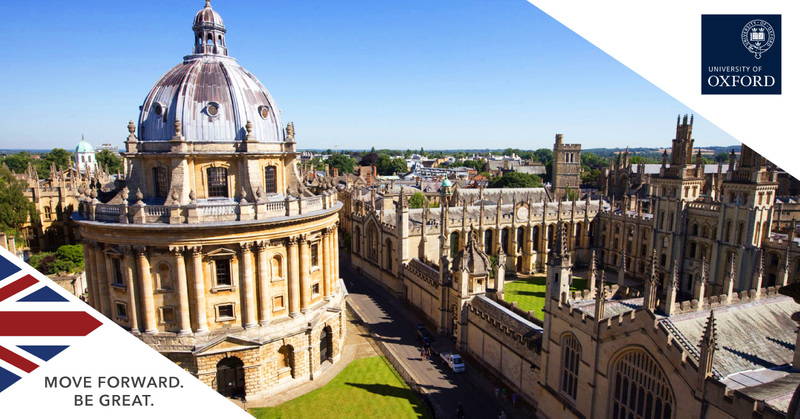 Oxford provides nearly 250 different courses from over 30 faculties across its four divisions of Humanities, Mathematical, Physical & Life Sciences, Medical Sciences and Social Sciences. Oxford’s academic staff are globally renowned, with 80 Fellows of the Royal Society and 100 Fellows of the British Academy. At least once a week in each subject studied, groups of two or three students will spend an hour with their tutor, discussing a topic in depth. This enables students to discuss ideas and theories in a more relaxed and informal setting. Oxford graduates are sought after from companies all over the world, valued for their communication, leadership and problem-solving skills. The majority of Oxford alumni are in employment or in further study after graduating, while “8% were doing something else such as taking time out to travel”. There are a number of services available to provide support to international students at the University, including advice on topics such as health, disability, counselling, student-led support and fitness to study. Oxford is a youthful and cosmopolitan city with plenty to see and do. It is the youngest city in England and Wales, has two universities, and 35% of the people who live here are aged 15-29, with 27% (40,000 of a total population of 150,000) university students. In addition, the city is full of exciting and historical architecture, is the one of the greenest cities in the south of England and also the friendliest. Are you interested in applying to and studying at Oxford? The Oxbridge Service is a specially designed application service tailored for international students who want to study at the best university in the world. Arrange your free consultation at SI-UK London or Manchester today to learn more.